Anyone who knows me and my book habits will know that I’m a sucker for anything “Holmesian,” and frankly, anything to do with Scotland Yard has the same effect. I’ve always had a soft spot for the beleaguered Inspector Lestrade and his fellow colleagues, especially those of the Murder Squad. Imagine my excitement then while browsing at my favourite discount book store and coming across a hardback copy of Alex Grecian’s The Yard. 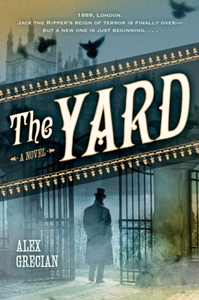 The Yard chronicles the life of inspector Walter Day, newly inducted into Scotland Yard’s Murder Squad just a year after their failure to apprehend “Saucy Jack”–a.k.a. “Jack the Ripper.” At a time when morale is down, he has the unfortunate luck to be assigned to solve the case of a body dumped at a local railway station. The body of a fellow Murder Squad detective. 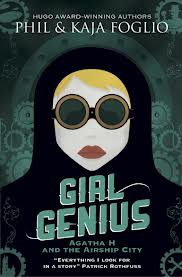 A Victorian murder mystery involving Scotland Yard solving the murder of one of their own? Sign me up!